Purpose: Low-carbon economy requires the pursuit of eco-efficiency, which is a win-win situation between economic and environmental efficiency. 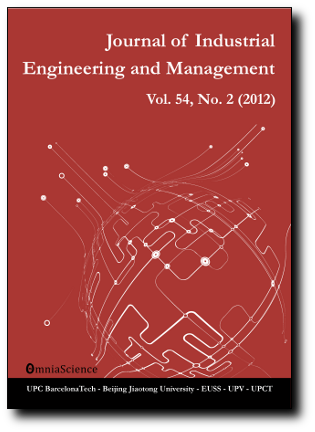 In this paper the question of trading off the economic and environmental effects embodied in eco-efficiency in the hybrid manufacturing/remanufacturing logistics network design in the context of low-carbon economy is examined. Design/methodology/approach: A multi-objective mixed integer linear programming model to find the optimal facility locations and materials flow allocation is established. In the objective function, three minimum targets are set: economic cost, CO2 emission and waste generation. Through an iterative algorithm, the Pareto Boundary of the problem is obtained. Findings: The results of numeric study show that in order to achieve a Pareto improvement over an original system, three of the critical rates (i.e. return rate, recovery rate, and cost substitute rate) should be increased. Practical implications: To meet the need of low-carbon dioxide, an iso- CO2 emission curve in which decision makers have a series of optimal choices with the same CO2 emission but different cost and waste generation is plotted. Each choice may have different network design but all of these are Pareto optimal solutions, which provide a comprehensive evaluation of both economics and ecology for the decision making. Originality/value: This research chooses carbon emission as one of the three objective functions and uses Pareto sets to analyze how to balance profitability and environmental impacts in designing remanufacturing closed-loop supply chain in the context of low-carbon economy.